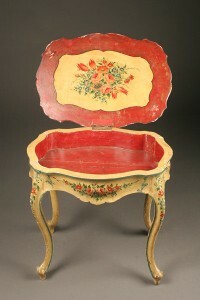 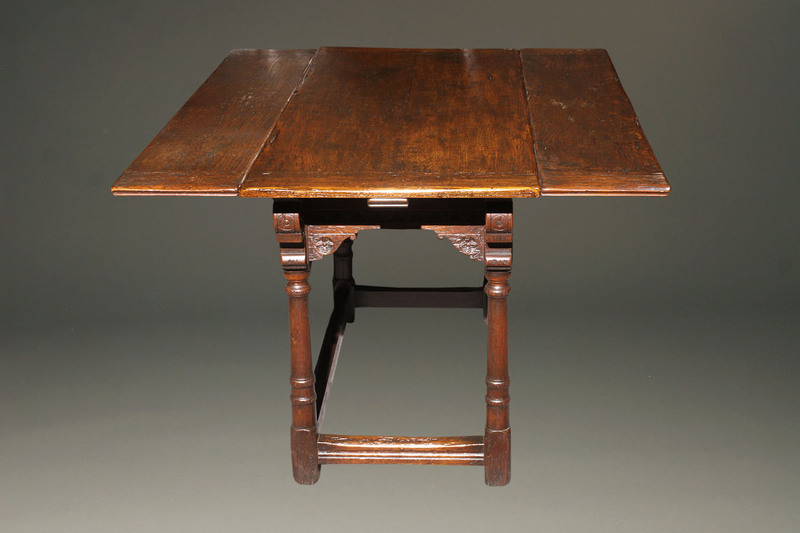 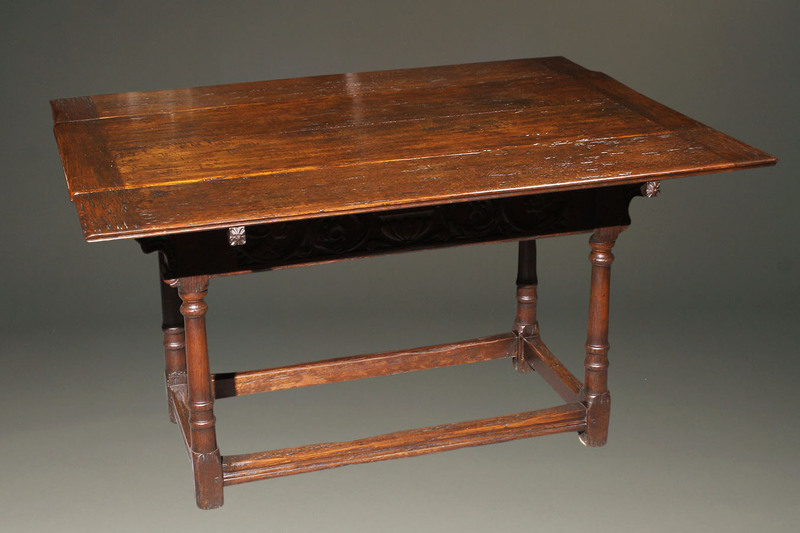 English Jacobean style side draw leaf table.English Jacobean style side draw leaf table. 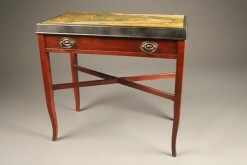 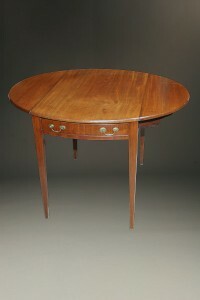 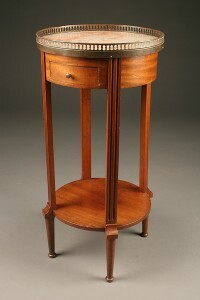 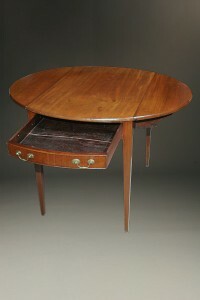 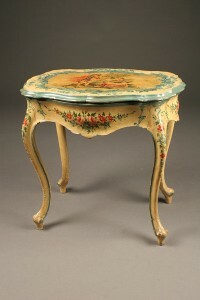 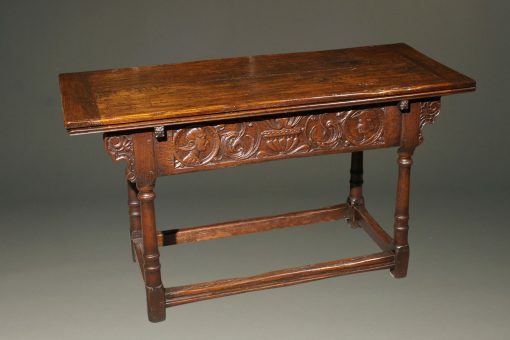 Custom English Jacobean style side draw leaf table. 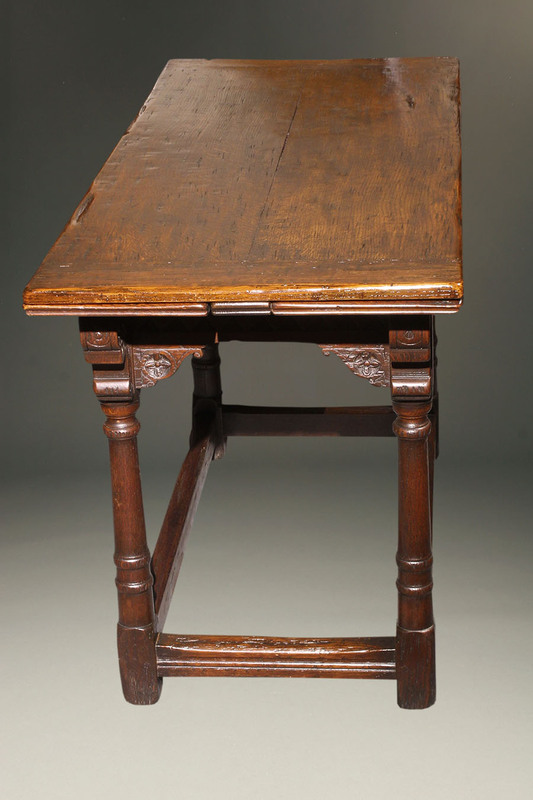 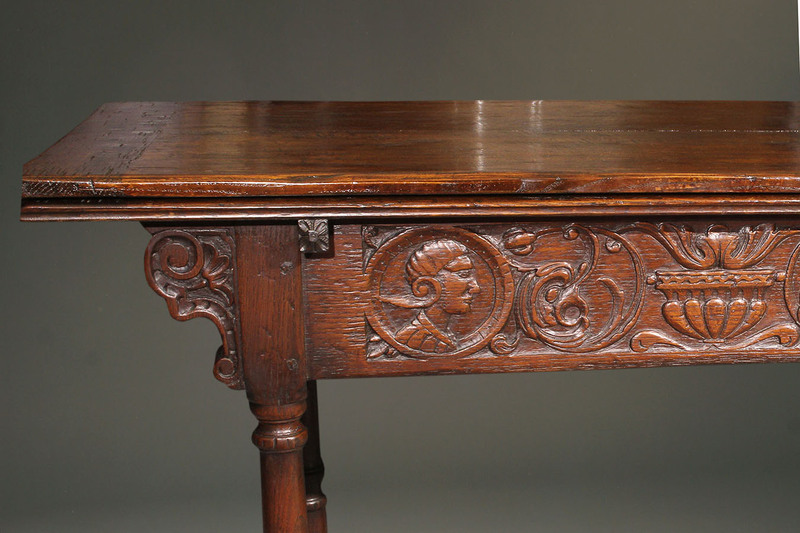 This English Jacobean style oak draw leaf table is somewhat unusual. 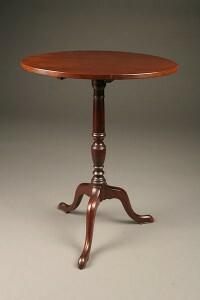 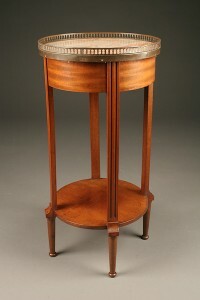 Most draw leaf tables have the leaves being drawn from the ends of the table. 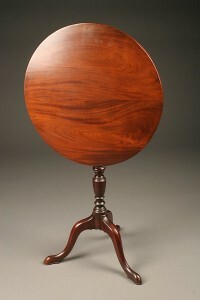 With this particular table one draws the two 9.5″ leaves from the side. 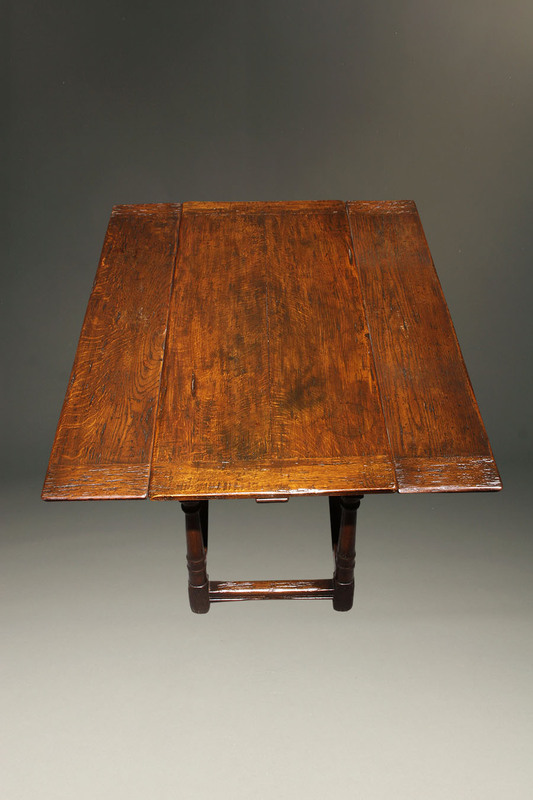 When the leaves are in their stowed position this table has a narrow width of 22 inches making it a reasonably versatile piece. 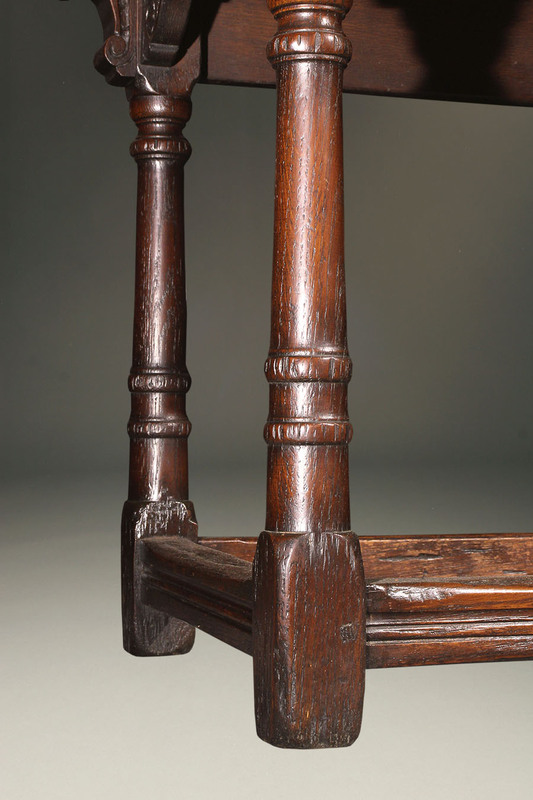 The distressed oak, carved apron and four turned legs gives this piece a causal air with a touch of polish.